The territory landscape is rich in abandoned extraction sites where the spreading of vegetation is hiding us everything little by little. 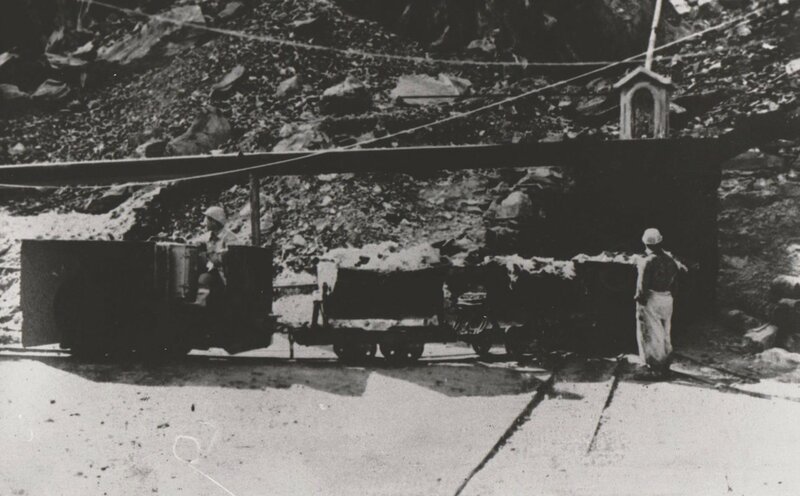 If, in the past, these places were characterized by the typical sounds of the mining activities and by the clanking of the trolleys, now silence is sovereign. 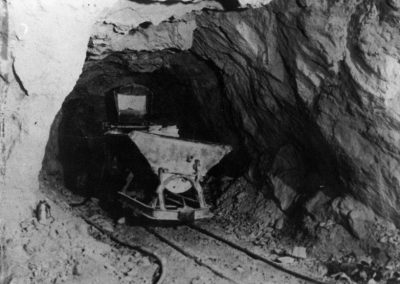 For many centuries mineral resources had been a source of livelihood for the local population. 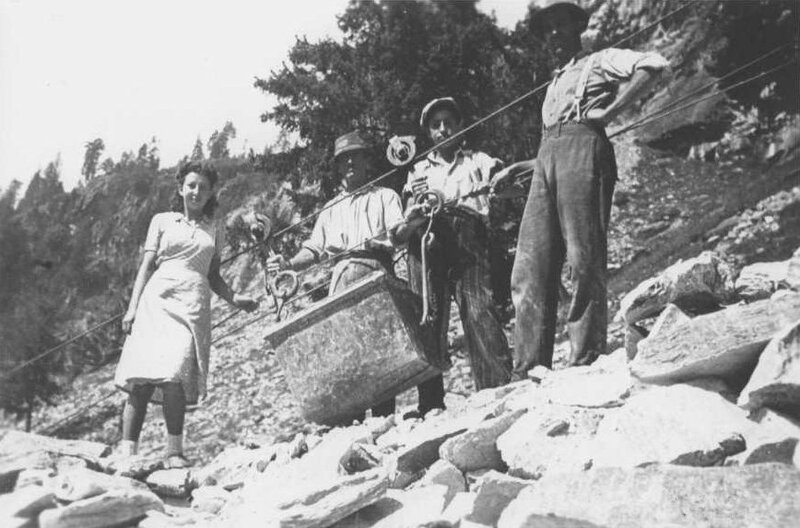 Above all, we have to mention the pietra ollare quarries for the lavécc production, followed by the asbestos mines and by the talc ones. At the end of the 18th century, the asbestos qualities were rediscovered: it had already been used in the ancient times. At the beginning of the 19th century, thanks to the intuition of a noblewoman, Candida Lena Perpenti from Gordona, new fireproof and heatproof fabrics could be produced. 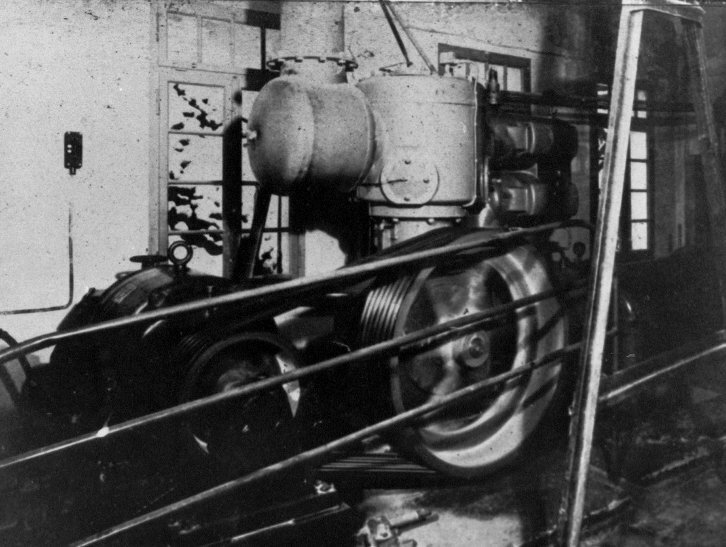 This technique was soon employed in the industrial field, for the first time in the world, to produce fabrics and clothes useful to the firemen. 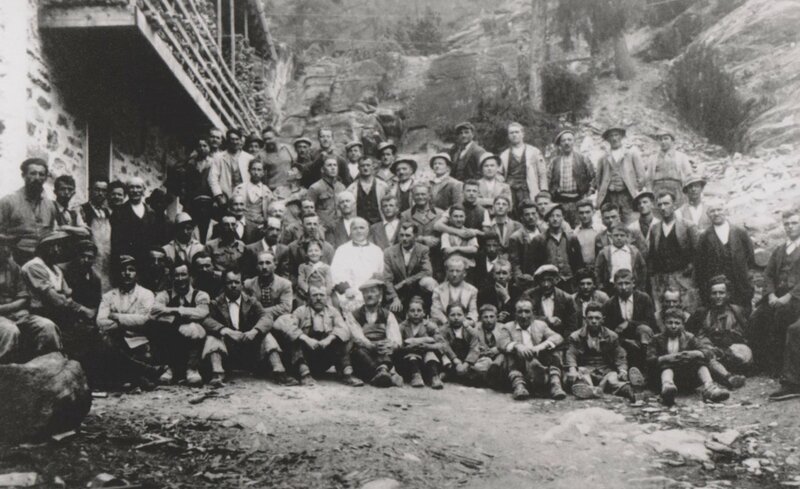 That mineral came from Lanzada in Valmalenco. From that moment on, with mixed fortunes and employed for more and more different purposes, the name of the asbestos was linked to Lanzada. 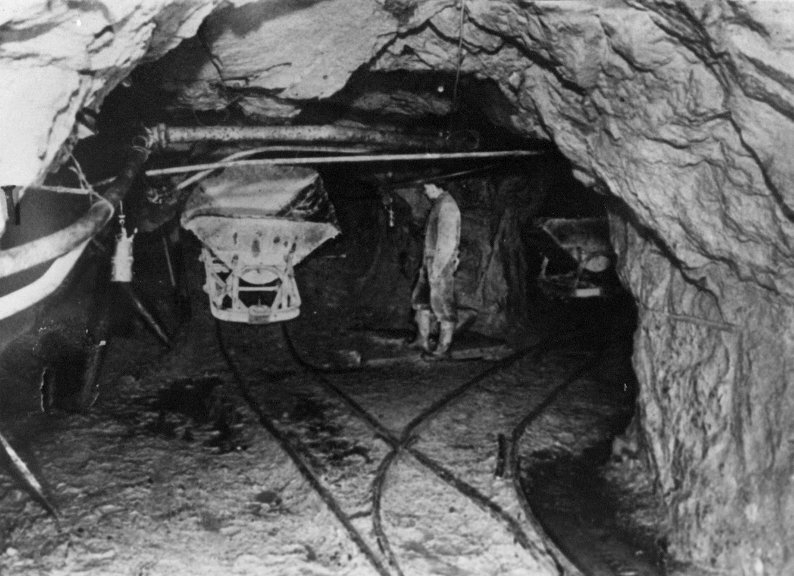 The last mines were closed in 1975. 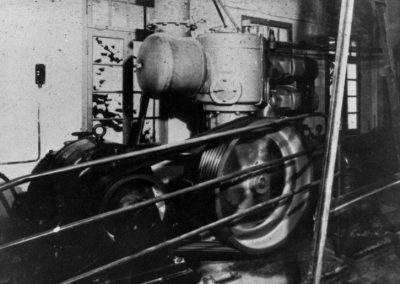 In the same period, different attempts to promote the extraction activity of the soap rock (steatite or grey talc) were made but without much success. It was only in 1936 that the talc extraction started, thanks to the discover of the Bagnada field. 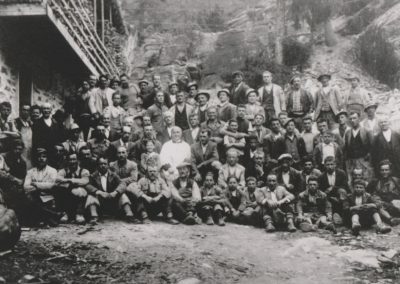 In 1936, The Valtellina Mining Company, considering the successful results of the talc research and the growing interest towards this mineral, asked for the field temporary exploitation license. This lasted more than expected: it went on until 1987. 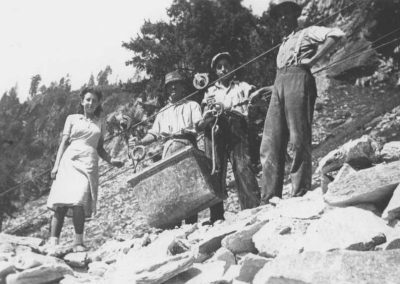 It was a high-quality talc, white and so tender that “you could cut it with a knife…We were told that it was used to make the face-powder for young ladies….” an old miner tells. As a matter of fact, the Bagnada talc was mainly employed in the cosmetics and pharmaceutical industry. 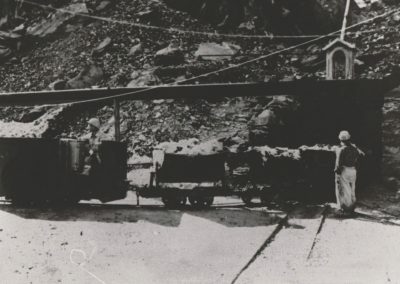 At the beginning, the mineral was transported to the village by cableway. 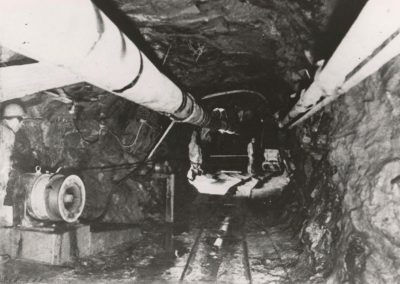 Once there, it was loaded on wooden carts and taken to a storage and sorting centre both for the talc and the asbestos coming from the different active mines. 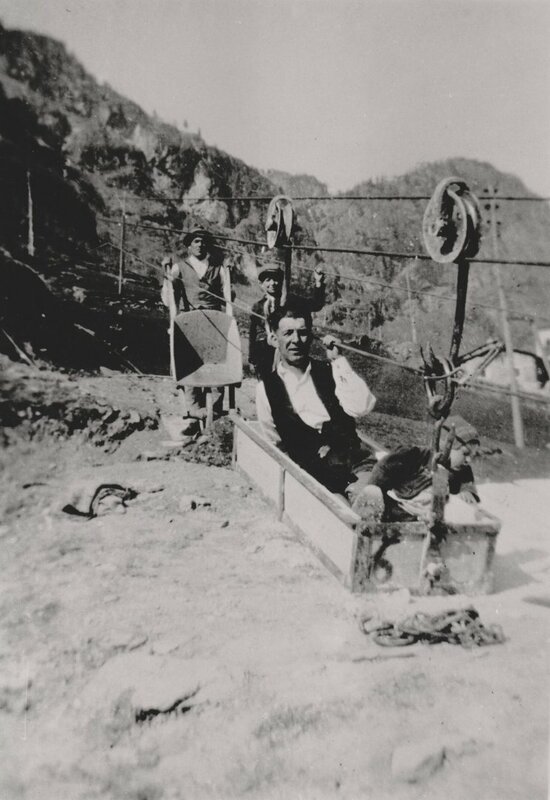 The cableway was still working even after the new road to Franscia had been built (at the beginning of the 1950s). 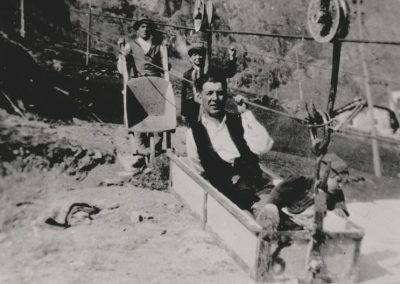 At the beginning, the working method was pretty rudimentary, everything was done by hand without any mechanical means: only shovels, hacks and wheelbarrows, nails and sledge-hammers. 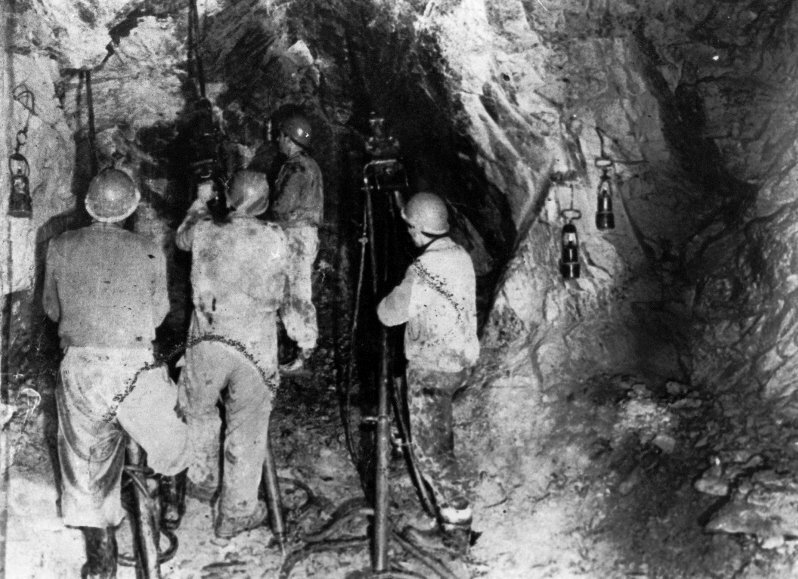 The rock drilling for mining was done by hand as well. 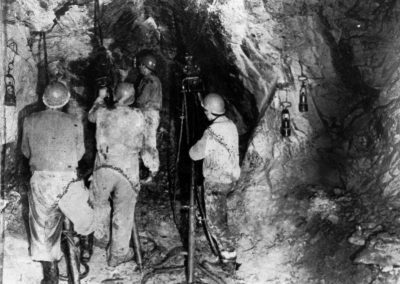 After the second World War, it was very useful to start using compressed air pneumatic hammers and the working technique improved more and more, making the miners’ work lighter; there were about 25 miners at that time. On the other hand, deafening noise and dust became the everyday routine. Transport towards the clearance chimneys, that linked the different levels, was done by hand. 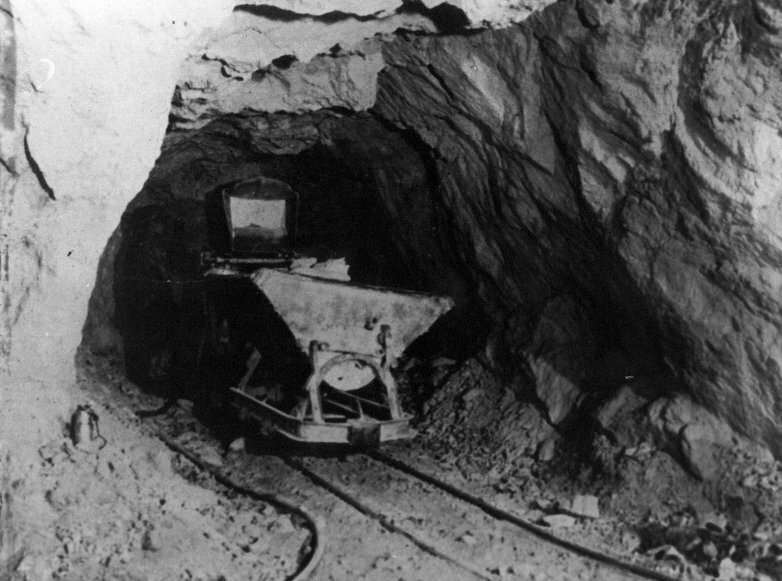 Only in 1975 some scrapers were bought: you can still see one of them along the museum path in the mine. For decades the talc search went on following the veins and the most expert workers’ instinct. Technicians arrived only later on. The mine closed in 1987 because of the field exhaustion. 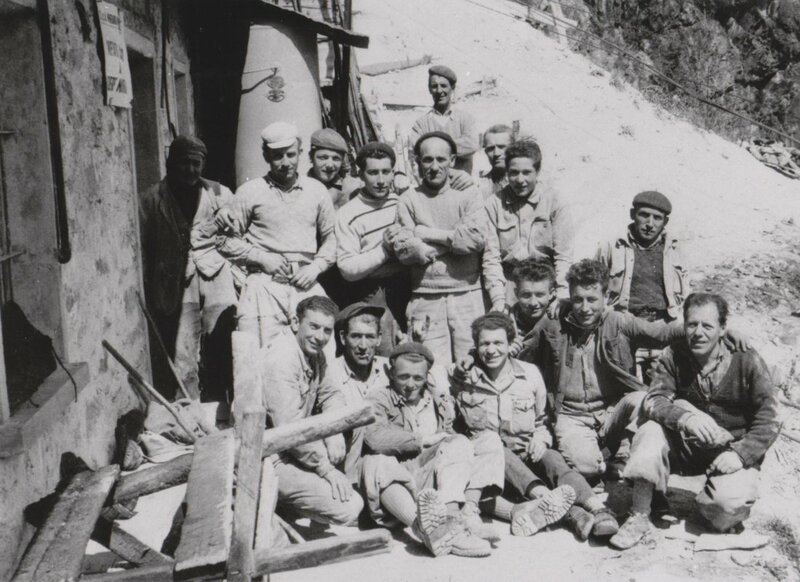 LValmalenco still nowadays represents an important extraction area, not only for industrial minerals but also for decorative stones. for personal use and it is forbidden to reproduce, modify or publish everything or just a part of it, for any reason.